I recently migrated all of my websites from Hostgator to Site5 hosting and I couldn’t be happier. I went from paying $174/month for a dedicated server to a $50/month VPS plan. The different in service and reliability has been amazing so far. While I do host select clients I typically recommend the majority of my clients to get their own hosting plan so I don’t get bombarded with emails regarding downtime or deal with email and other hosting related issues I don’t really care to troubleshoot in my already busy day. 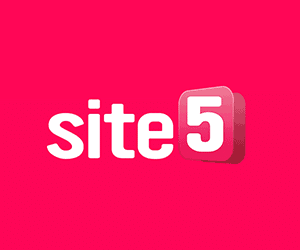 I started off hosting on Site 5’s reseller plan however due to a memory usage issue I had to upgrade my hosting plan while I worked on lowering my recouse usage. In Cpanel you can view your Resource Usage by date, domain, and graphs outline performance. The Resource Points are a measurement of the hardware resources used by your hosting account. I was sometimes going as high as 6000 while my daily limit was 1500. Of course this triggered my hosting company to give me an ultimatum. Either I figure out how to lower my resource usage or I have to upgrade. Thankfully there is a WordPress plugin which was able to help out with my usage problem called WP Supercache. This WordPress plugin will serve your website as cached HTML pages instead of processing PHP scripts which require more resources. About 99% of your website visitors will be served the static html files. WP Supercache not only helps relieve hosting resources but also speeds up loading time considerably. Not only is this plugin useful for minimizing your hosting resource usage but it will also speed up loading time. Loading time is a factor Google uses in ranking websites so this plugin should be implemented by almost any website owner. If you’re interested in trying out this plugin just visit https://wordpress.org/plugins/wp-super-cache/ or just search for WP super cache in your admin dashboard plugin search.